O’Donnell Moonshine was launched in the UK in 2017 and are producers of spirits using only the best available ingredients, bottled in original mason jars. Currently offering 4 liquors ‘High Proof’, ‘Roasted Apple’, ‘Bitter Rose’ and ‘Tough Nut’. Hugo Cooke from O’Donnell Moonshine contacted us via telephone in January 2018 after we were recommended to him by an existing customer. He was looking for a packaging supplier who could manufacture gift packaging to house each of their 4 flavoured liquors which were to be placed into various retail premises. The artwork was very bold and covered the entire box. 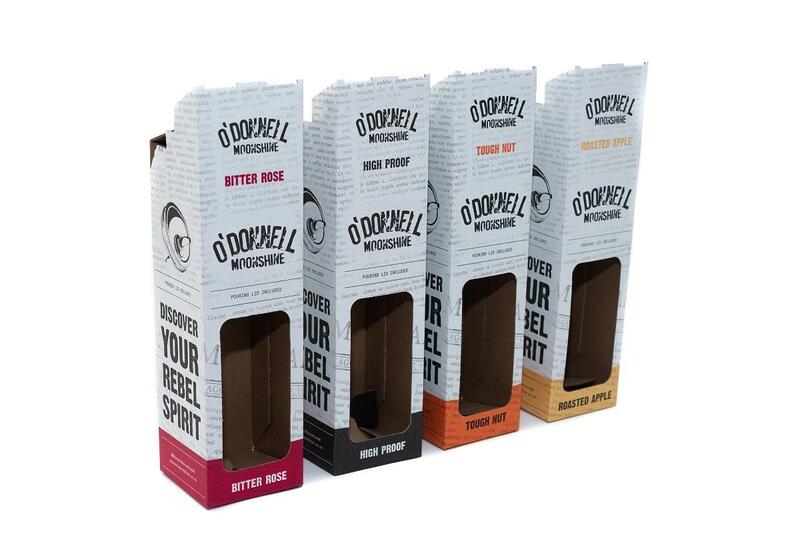 We originally explored with O’Donnell Moonshine the option to have these gift packs lithographically printed due to the detail of the artwork, however, there was concern on the cost of going down this route. Following a discussion with our in-house design team we were able to make slight changes to the initial artwork supplied which enabled us to optimise the artwork for flexographic printing (a much cheaper printing option), and use common printing plates where possible across the 4 variants to help further keep costs down. The end result was a great print quality product and the client was extremely happy. This project showcases just how much detail you can achieve with a flexographic print, both ourselves and O’Donnell were pleasantly surprised with the detail and print quality. 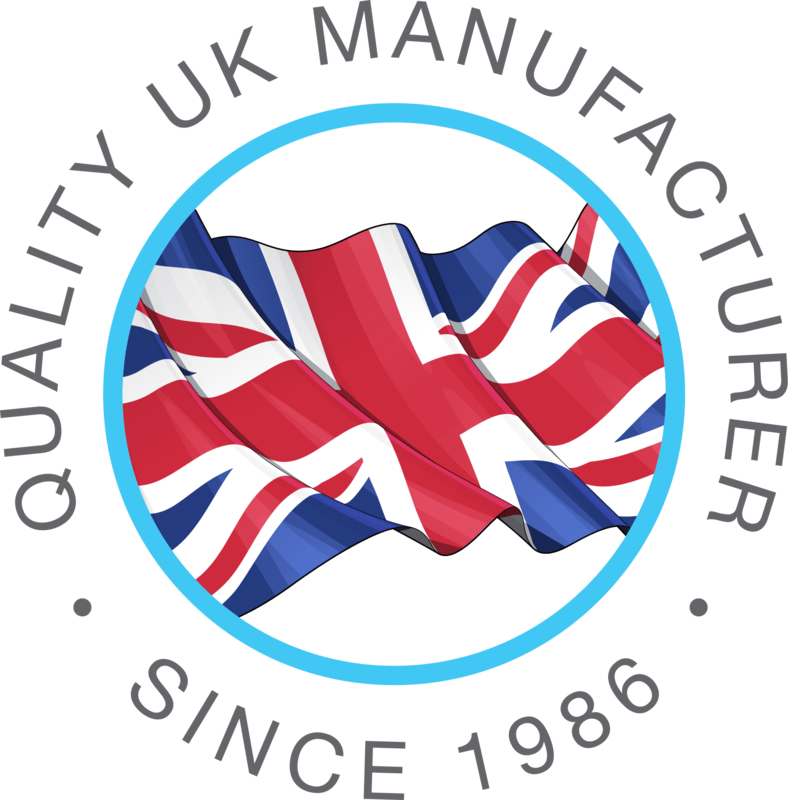 “Having signed a significant contract with a leading High Street Store in January on the pretext of providing gift packaging which framed our products, we went about trying to identify partners in order to meet the April deadline. We were introduced to Tonie Lam who designed the gift boxes after which we began looking for a manufacturer to create our packaging. Saxon Packaging came to our attention thanks to multiple recommendations from some of their clients based near us in East London. Having spoken about the choices available to us we took their recommendation of using the flexographic printing option as it was more in line with our budget. After some trepidation about the clarity of the final product we were happy with the overall look and feel of the packaging.” Said Hugo.